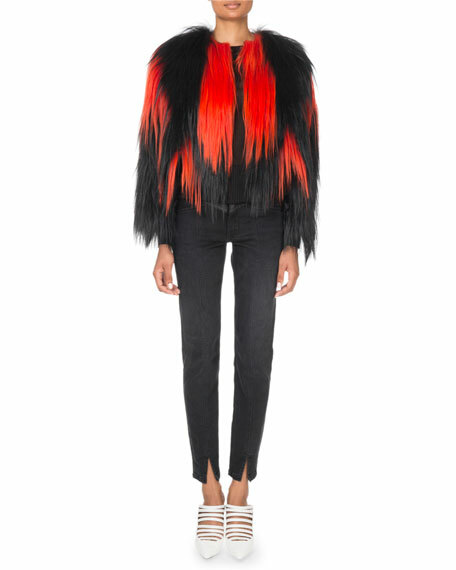 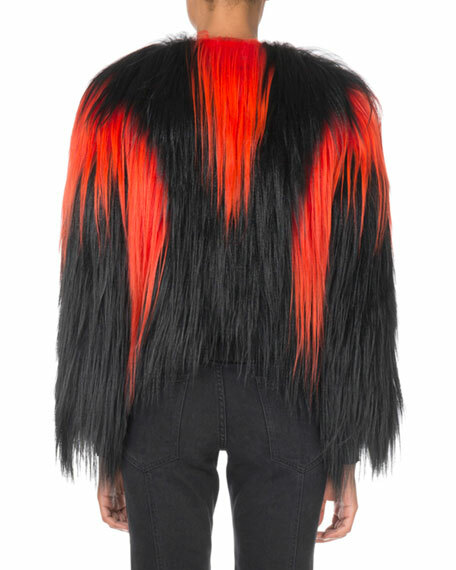 Givenchy coat in two-tone shaggy dyed goat fur (China). 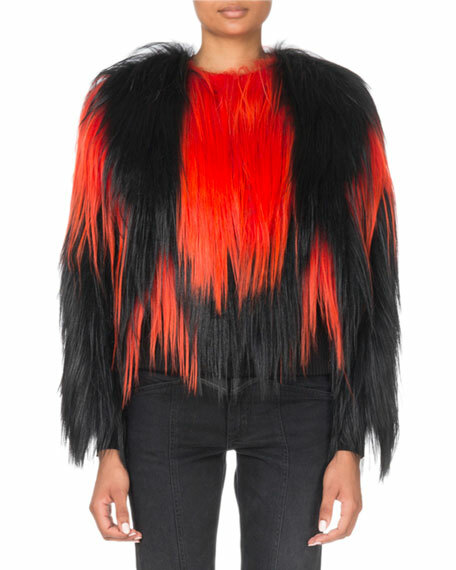 Givenchy sheer ribbed knit top. 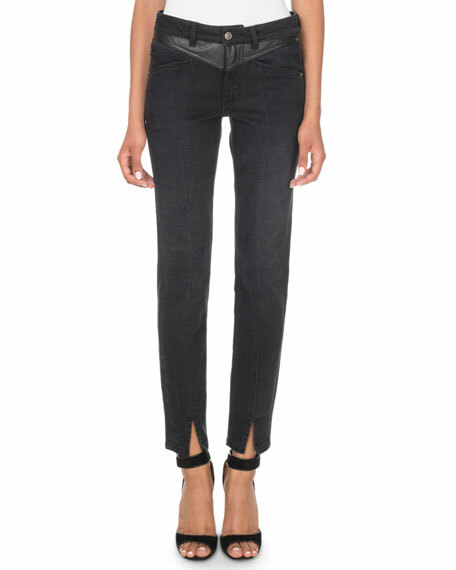 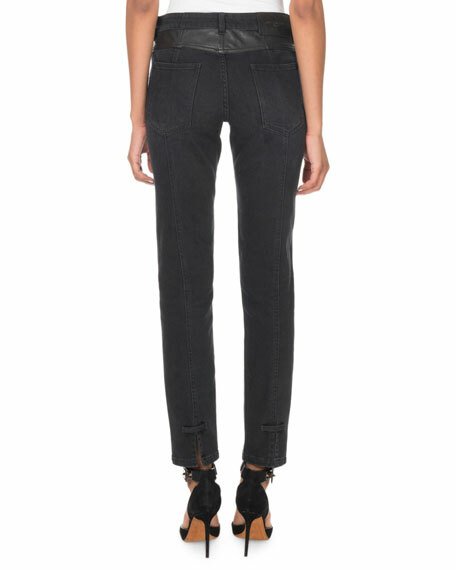 Givenchy jeans in black denim with leather trim.